With experience at hundreds of contaminated properties, DBS&A has established a reputation for providing innovative, cost-effective solutions to address our clients’ environmental challenges. We apply our understanding of regulations, permitting requirements, compliance strategies, and broad experience base to implement the appropriate solution for each site. Our engineers, hydrogeologists, and environmental scientists are supported by an outstanding group of modelers, database analysts, and GIS specialists who convey complex technical concepts through easy-to-understand visual aids. 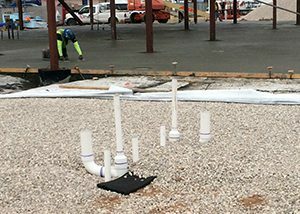 Our engineers are experienced in designing and constructing award-winning remediation systems that are some of the most innovative in the country. 1,1,1-TCA; 1,2-dichloroethane (1,2-DCA); 1,4-dioxane; 1-methyl-2-pyrrolidinone; antimony; arsenic; asbestos containing building materials (ACBM); benzene, toluene, ethylbenzene and xylene (BTEX); beryllium; boron; cadmium; carbon tetrachloride; chloride; chromium; chromium VI; coal combustion waste (fly and bottom ash); cobalt; copper; cyanide; degradation products; diesel range organics (DROs); dioxins; ether; ethylbenzene; fluoride; freon 113 (trichlorotrifluoroethane); furans; herbicides; iron; lead; lead-based paint (LBP); light non-aqueous phase liquid (LNAPL); manganese; mercury; metals; methyl tertiary butyl ether (MTBE); naphthalene; nickel; nitrate; N-Nitrosodimethylamine (NDMA); non-aqueous phase liquids (NAPL); organic carbon; pentachlorophenol (PCP); perchlorate; perchloroethylene (PCE); pesticides; petroleum hydrocarbons; polycyclic aromatic hydrocarbons (PAHs); radiochemicals; selenium; sulfate; TAL metals (Aluminum, Antimony, Arsenic, Barium, Beryllium, Cadmium, Calcium, Chromium, Cobalt, Copper, Iron, Lead, Magnesium, Manganese, Mercury, Nickel, Potassium, Selenium, Silver, Sodium, Thallium, Zinc); tetrahydrothiophene-1; tin; toluene; total petroleum hydrocarbons (TPHs); total phenolics; TPH-gasoline; trichloroethylene (TCE); uranium; vanadium; volatile organic compounds (VOCs); xylenes; and zinc. Structures that overlay volatile organic compound (VOC) contamination in soil or groundwater may be subject to hazardous vapor intrusion. DBS&A’s scientists and engineers help our clients to address this threat. Often a primary driver for remedial planning at contaminated sites, vapor intrusion is under increasing focus by environmental regulators. Read more about how new regulatory guidance is changing environmental risk characterization. DBS&A has successfully worked on VOC migration in groundwater from releases at landfills, industrial facilities, refineries, gasoline stations, and dry cleaning facilities, and underneath commercial facilities and residential neighborhoods. DBS&A’s Soil Testing and Research Laboratory offers a specific vapor intrusion analysis package for key soil properties that control subsurface vapor migration and risk. DBS&A is equipped to handle all aspects of vapor intrusion issues that our clients may face. Vapor intrusion refers to chemical transport from the subsurface into building indoor air. Initially, human-health concerns related to vapor intrusion concerns were attributed to Radon, a naturally occurring radioactive gas that is considered carcinogenic. Beginning in the 1990s, vapor intrusion of VOCs resulting from environmental contamination began to receive significant attention. VOCs are released to soil and groundwater from leaking underground and above-ground chemical storage tanks, infiltration from surface spills, and waste chemical disposal in leach ponds, dry wells, and leaking sanitary sewer lines. VOCs volatilize from contaminated soil and groundwater, and under certain conditions, will enter indoor air of buildings through cracks or seams in foundation slabs or basements. VOCs of concern for vapor intrusion include aromatic petroleum hydrocarbons (e.g., benzene) and chlorinated hydrocarbons used as industrial degreasers and dry-cleaning solvents (e.g., tetrachloroethene [PCE], trichloroethene [TCE]); these chemicals are considered by the U.S. Environmental Protection Agency (EPA) to pose human health risks even at low concentrations in indoor air. TCE is one of the most ubiquitous VOCs at contaminated sites; it has been found in at least 852 of the 1,430 National Priorities List (NPL) sites identified by the EPA. In a series of memorandums released from 2012 to 2014, the EPA established an “Accelerated Response Action Level” of 2 µg/m3 for TCE in residential indoor air at specific NPL sites Regions 9 and 10. Interim response measures if TCE is detected at or above 2 µg/m3 includes immediate relocation of residents. The new Region 9 and 10 Accelerated Response Action Level is far below previous action levels or standards for TCE in indoor air resulting from vapor intrusion. For example, a guidance document published in 2008 by the California Regional Water Quality Control Board – San Francisco Bay Region had listed a requirement for immediate mitigation if TCE was detected at or above 120 µg/m3 in residential indoor air, or a level 60 times higher than the new standard. It is currently unclear if this new TCE standard will be implemented by the EPA nationwide. In March 2012 guidance released by the U.S. EPA Office of Underground Storage Tanks, the EPA acknowledged that biodegradation of petroleum hydrocarbons (e.g., break-down of petroleum hydrocarbons by resident bacteria) can be active in the unsaturated zone below a building, limiting the potential for vapor intrusion of these chemicals. Previous EPA guidance had suggested that biodegradation be assumed to be negligible during site screening, and biodegradation has not been included in the EPA’s vapor intrusion models. In contrast to petroleum hydrocarbons, chlorinated solvents (e.g., PCE and TCE) are not expected to be subject to appreciable biodegradation in the unsaturated zone, and chlorinated solvents are, therefore, increasingly prioritized for vapor intrusion investigations. The EPA’s most recent official comprehensive guidance regarding vapor intrusion was published in draft form in 2002 and suggests a tiered approach for vapor intrusion investigations: (1) Primary Screening, (2) Secondary Screening, and (3) Site Specific Pathway Assessment. The Secondary Screening step uses site-specific data to evaluate the potential for vapor intrusion based primarily on soil vapor data. It also relies on the EPA-published Johnson/Ettinger mathematical model to extrapolate VOC concentrations from soil vapor into indoor air. This tiered approach, including reliance on the Johnson/Ettinger model, has been replicated in many State-issued vapor intrusion guidance documents. In April 2013, the EPA released an “external review draft” of the “final” vapor intrusion guidance. This draft eliminates the Secondary Screening and moves directly to a detailed site investigation based on the minimum criteria: (1) VOCs are present in the subsurface, and (2) there is “actual or potential future presence of buildings nearby.” Recommended detailed vapor intrusion investigation includes groundwater sampling, soil vapor sampling, building surveys, and indoor air sampling. Unless site-specific parameter values are obtained for input parameters and the mathematical model is calibrated to field data, use of default input parameter values will generate model results that lie at an unknown point within an uncertainty band of the model outcomes. Because the combined effect of parameter uncertainty is large, a one- or two-order of magnitude error might be made unknowingly. In short, the EPA now lacks confidence in the results of mathematical modeling and, thus, has recommended moving towards reliance on actual field data rather than models. Utility corridors are underground utility lines or pipes (e.g., sanitary sewer, storm, water, gas, electric, or telecommunications) and the excavated and back-filled trenches that contain them. In some cases the excavated trenches are back-filled with material that may more readily transmit vapors compared to native soils. Because these corridors are often specifically directed towards building foundations, there is concern that they may act as a fast pathway for vapor migration from contaminant sources towards or underneath buildings. A 2013 investigation of a home nearby a contaminated site in Massachusetts (Pennell et al., 2013 indicated that elevated PCE detected in the indoor air was caused by the presence of PCE in the sanitary sewer line and infiltration of sewer gas through a faulty toilet fixture. The 2013 EPA external review draft vapor intrusion guidance and several recent State guidance documents specifically call for evaluation of utility corridors during vapor intrusion investigations. The 2013 EPA external review draft vapor intrusion guidance and several recent State guidance documents recommend application of one or several of these techniques during vapor intrusion investigations. Long-term site monitoring and the operation and maintenance (O&M) of a remediation system can greatly impact overall project cost and is often critical to regulatory closure. 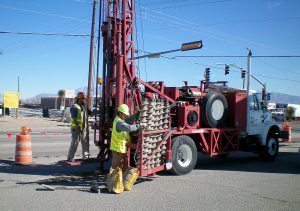 DBS&A has extensive experience with design and installation of groundwater monitoring wells, and we perform routine monitoring and reporting and O&M at dozens of sites. Since the early 1990s, DBS&A has installed several thousand monitoring and extraction wells in the western states using hollow stem auger, air rotary, mud rotary, air-rotary casing hammer, dual-tube percussion, and direct push methods. DBS&A engineers and technicians are experienced with operating, troubleshooting, and maintaining a wide variety of remediation equipment and, therefore, consistently maintain a high rate of system uptime. Our ability to keep systems up and running has resulted in the regulatory closure of several hundred sites. All field work is carried out in accordance with site-specific health and safety plans, approved work plans, and/or standard operating procedures to ensure that data quality objectives are met. DBS&A has a tremendous amount of experience in remedial investigation, design, and action, including construction, at several hundred petroleum storage tank sites impacted by petroleum hydrocarbons. Our firm is built upon a reputation for high-level knowledge in hydrogeology, including specialized expertise in vadose zone hydrology and contaminant fate and transport modeling. Our understanding of contaminant fate and transport in the subsurface results in more accurate site assessment and, ultimately, more efficient and cost-effective remedial actions and site closure. Our environmental engineers have successfully designed and implemented more than 100 soil and groundwater remediation systems throughout the West using a broad range of remediation technologies. 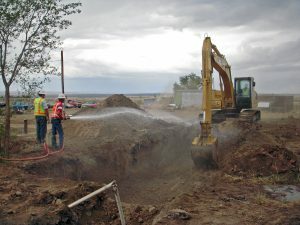 DBS&A also possesses the technical and regulatory expertise to fully permit remediation systems, having prepared discharge plans, groundwater appropriation permits, and air quality permits. 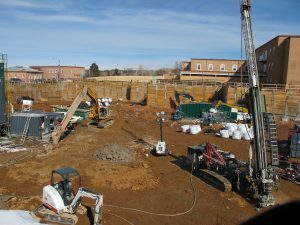 We completed remediation of the Santa Fe County Judicial Complex in 2014 after recovering approximately 140,000 pounds of hydrocarbons from the subsurface utilizing a dual-phase extraction system, including horizontal soil vapor extraction (SVE) wells. This project was awarded an Engineering Excellence Award by the American Council of Engineering Companies. DBS&A has established a reputation for providing innovative, technically sound, and cost-conscious remediation system design, installation, operation and maintenance, and removal action. We have successfully designed and implemented more than 100 soil and groundwater remediation systems to address soil and groundwater impacted by petroleum hydrocarbons, chlorinated solvents, metals, and mine wastes. DBS&A conducts feasibility studies to evaluate the appropriateness of remedial technologies and to select technologically suitable, cost-effective solutions to subsurface contamination. Our design experience ranges from plans and specifications for simple excavations to complete multi-media extraction and treatment at Superfund sites. Our work is routinely reviewed by state regulatory agencies and the Environmental Protection Agency with minimal comments. DBS&A works with clients to select the appropriate remedial technology for site-specific conditions, regulatory requirements, and costs. We have designed systems that actively remediate soils with soil vapor extraction and treatment via technologies such as thermal oxidizers, internal combustion engines, and catalytic oxidizers. Where a less aggressive approach is needed, we have used bioventing to address landfill gas issues and low concentration soil vapor problems. 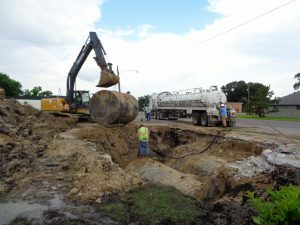 Our engineers and technicians are also experienced with operating, troubleshooting, and maintaining virtually all types of remediation equipment. As a result, run time on our remedial action systems is generally greater than 90 percent, and often higher than 95 percent. For sites with contaminated groundwater that may not require aggressive mass removal, we have designed interceptor trenches that rely on bioaugmentation to reduce contaminant levels to the point where monitored natural attenuation is appropriate. Traditional pump and treat systems can also be used, applying air and/or ozone sparging to increase mass removal, where necessary. Treatment trains may include packed column air strippers, low-profile diffusers, and granular-activated carbon. Where light, non-aqueous phase liquids are present, we also use pneumatic phase-separated hydrocarbon pumping systems. DBS&A tailors our investigation approach to the project’s specific needs. A well-designed and executed subsurface characterization is the key to developing an effective, site-specific remedial approach. Investigation approaches vary from minimally intrusive TRIAD-based investigations to CERCLA- based remedial investigations with dozens of wells installed to delineate contaminant plumes. We also perform due diligence paper and field studies in support of real estate transactions. DBS&A’s experience conducting Phase I and Phase II environmental site assessments (ESAs) includes complex, multi-facility investigations, as well as local, single-site assessments for real estate transactions, Brownfields redevelopment, and environmental highway corridor studies. 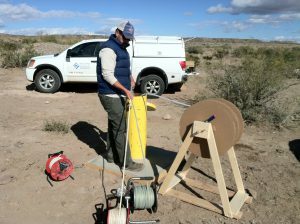 We use field screening methods including soil, gas, and water qualityanalysis; field x-ray fluorescence (XRF); soil borings and monitoring wells; and geophysical surveys. Our staff is also well versed in vapor intrusion studies. All field work is carried out in accordance with a site specific health and safety plan and approved work plans and/or standard operating procedures to ensure that data quality objectives are met. DBS&A has 30 years of experience at Superfund sites. We are accustomed to the challenges common to cleanup and closure activities in both urban and rural areas. We have provided CERCLA support services, including remedial investigations and feasibility studies (RI/FS), remedial design (RD), and remedial action (RA). Sites include chemical storage and recycling facilities, refineries, wood-treating facilities, unknown solvent releases, abandoned mines and smelters, and plating operations. We have evaluated the release of chlorinated compounds (PCE, DCE, and TCE) with plume lengths of more than a mile. DBS&A works with our clients, stakeholders, regulatory agencies, potentially responsible parties, and attorneys to mitigate risks to human health and the environment at Superfund sites. DBS&A is distinguished by an established expertise in vadose zone processes. 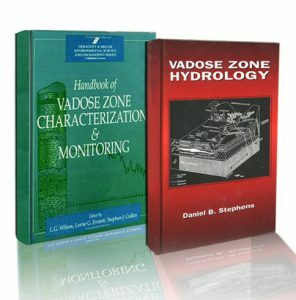 The vadose zone is the area between the ground surface and the water table and is comprised of rock and soil; it plays a vital role in groundwater replenishment and groundwater quality protection. The vadose zone is particularly important in the western United States where there is sometimes a deeper water table and, therefore, a larger vadose zone that may substantially influence natural recharge of groundwater, as well as contaminant transport. Providing expert testimony in cases related to environmental contamination.